Kenya’s economy is expected to rebound in 2018, and is forecast to expand by between 6% and 7% owing to anticipated favourable agricultural output, following the short rains. 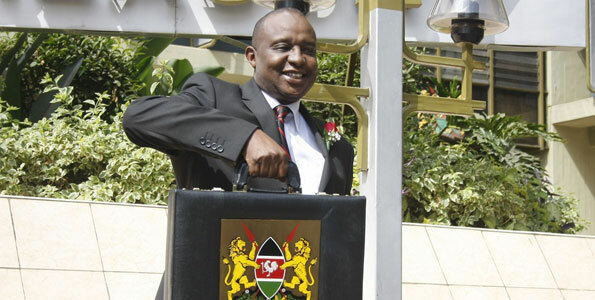 “The macro-economic environment has remained stable with inflation rate declining through the year to stand at 5.72% for October, the lowest this year; the exchange rates have remained stable,”said National Treasury Cabinet Secretary, Henry Rotich. Agriculture contributes more than 25% of our GDP. “We have kept our fiscal deficit at manageable level vis-a-vis our GDP, and shall continue to do so. To further demonstrate the stability of our economy, our Foreign Exchange Reserves stand at USD 8 billion, translating to about a 5-month import cover,”said Rotich. The country’s fiscal deficit for the 2017-2018 Financial Year is 6.4%; down from 8.5% in the 2016-2017 Financial Year; National treasury affirms it continue to focus on bringing down debt levels.